Welcome to DCi where We Do IT Right! The Future 50 Awards program is the largest and most highly anticipated SmartCEO awards program of the year. This program recognizes 50 of the region’s fastest growing mid-sized companies and 10 small Emerging Growth companies. These companies represent the future of the region’s economy and embody the entrepreneurial spirit critical for leadership and success. Who is Diverse Concepts, Inc. Diverse Concepts (DCi) is a Minority-Owned, Service-Disabled Veteran-Owned Small Business that has been providing technology solutions and consulting to government and private sector clients since June 2002. We are a Maryland Department of Transportation (MDOT) and Baltimore City Certified Minority Business Enterprise (MBE). DCi is a business headquartered in Maryland which has a Top Secret facility clearance with cleared employees that hold Secret clearances and TS/SCI clearances with a Full Scope Polygraphs. As a subcontractor, we have provided solid staff augmentation to the Department of Defense, and component Agencies, on various contract vehicles. We provide a broad range of technology products and services in the areas of Systems Engineering, Systems Architecture, Network Engineering, Network Architecture, Information Assurance, Information Security, Secure Wireless, Computer Forensics, and Program Management on government and commercial contracts. By contributing professional and highly trained contractors to provide the highest quality of service within a variety of areas of the Information Technology realm, our mission is to provide our customers with exceptional IT support, solutions, and service that surpass their satisfaction. This allows DCi to focus on continuous innovation as it relates to advancing the user experience, overall efficiency and staying ahead of the curve. Stay current with our latest Tip of the Day by visiting our Tip of the Day Feed Page. Diverse Concepts, Inc. has been named the #1 PC Professional in Baltimore by Thumbtack.com for 2015 and the #3 Computer Repair Business for Annapolis in 2016. 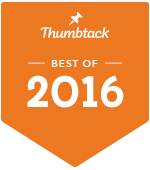 As a Best of 2015 and 2016 Service Provider on Thumbtack.com, our customers can expect superior service at exceptional prices. Our reviews speak for themselves and our service is second to none! Thumbtack.com technology is transforming the way people accomplish any project, anywhere, anytime. Just tell us what you need done. We'll quickly deliver customized quotes so you can compare pricing, read reviews, and hire the right professional on the spot. The Maryland Department of Transportation’s (MDoT) Office of Minority Business Enterprise (OMBE) is pleased to notify Diverse Concepts, Inc. (DCi) that pursuant to the Minority Business Enterprise (MBE) Program, the Disadvantaged Business Enterprise (DBE) Program and the Small Business Enterprise (SBE) Program, it has been determined that Diverse Concepts, Inc. meets the eligibility standards and is certified as a MBE. The Minority and Women's Business Opportunity Office (MWBOO) has certified Diverse Concepts, Inc. (DCi) as a Minority Business Enterprise (MBE) to provide the City of Baltimore IT Services. Roy White has been with Diverse Concepts since October 2008 and has a storied history within DCi. Prior to joining our team, he proudly served eight years in the U.S Air Force as a Personal System Manager in support of several military operations. Roy earned both his Bachelor of Science in Computer Information Systems with a focus in Network Design and Associates of Business in Business Management from American InterContinental University. He has implemented, designed, and operated many distinct computer systems and networks during his career. His leadership ability, work ethic, and attention to detail have provided this company with ample growth opportunity. In early June 2011, Roy became the majority stockholder of Diverse Concepts and was elected the Chief Executive Officer by the Board of Directors. Roy believes that he can elevate Diverse Concepts to become the most sought after Service Disabled Veteran Owned Business in the state of Maryland. To provide unparalleled IT Services that surpass expectations, reduce overall costs, and dramatically enhance business performance. In short – We Do IT Right! Looking for a Telecommute Solution? DCi advocates for secure telework through deployed hardware, network segregation, and defense-in-depth approaches all of which can be accomplished using Aruba® Remote Access Points (RAPs) in conjunction with a campus-wide Secure Wireless Network. Are you looking for a VoIP solution? Digium has become a leader in the telephony market, empowering communication, and with a continued focus toward developing flexible, feature-rich Unified Communications (UC) solutions that are affordable to organizations of all sizes. Has SPAM become a problem for your business? SpamTitan blocks over 99.9% of spam, viruses, malware and other email threats. We provide advanced email security for your business without making it complicated. Check-In to Facebook® with DCi! Leveraging Diverse Concepts, Inc.'s (DCi) partnership with Aruba®, an HPE Company, you can seek to improve customer engagement and leverage new stream of marketing like social media! DCi has a rich history of providing high quality IT services to our Government and Large Industry partners since its inception in 2002. Over the last 15 years, DCi has supported the Department of Defense (DoD), and component Agencies, in support of their mission on various task orders. In each case, DCi has worked as a subcontractor providing solid staff augmentation in the areas of Help Desk Services, Information Assurance, Network/Systems Engineering, Secure Wireless, Systems Support, and Disaster Recovery. Our quality staff has delivered service to some of the most highly visible projects and enterprise solutions in our Clients' spaces. DCi offers a strong portfolio of Small Business IT services that are specifically tailored to the needs of the small business community. We understand that resources within small businesses are limited but you still need high quality services in order to maintain the viability of your business. DCi takes an approach to providing small business services that puts a focus directly on your bottom line, providing you with an IT infrastructure that you can count on, and most importantly -- putting you back to work on what matters most to your business by freeing you up to focus directly on your business. DCi provides area consumers with quality IT services at an affordable price -- DCi guarantees that we have the lowest price of our competitors and will beat any of our competitor's prices. Our staff of highly trained and certified technicians can with something as easy as installing an application to something time consuming like upgrading your operating system. In the event that you delete an important file or your hard drive crashes, DCi has on staff computer technicians who can forensically recover your data! Just remember, call us right away because the longer you wait, the more likely that deleted file is overwritten by your operating system! Headquartered in Millersville, Maryland, Diverse Concepts is a rapidly expanding small business. Diverse Concepts, formed in June 2002, is a professional IT consultancy firm specializing in the area of systems/network engineering, end-to-end support and computer forensics. Diverse Concepts is a reliable and reputable partner that understands the Federal contracting environment as well as the Commercial contracting environment and can bring an immediate competitive advantage as well as relevant expertise to your firm at a competitive price. Diverse Concepts, Inc. provides a broad range of technology products, services and solutions to Government, Small Business and Home Users in the areas of Systems Engineering, Systems Architecture, Network Engineering, Network Architecture, Information Assurance, Information Security, Computer Forensics, and Program Management. Our quality staff has delivered service to some of the most highly visible projects and enterprise solutions in our Clients' spaces to include Active Directory design and management, computer installation and repair, application installation, network design and installation, network problem resolution, information security consulting, patch and virus scanning management, system and network monitoring, disaster recovery planning and management, and the purchase of new and replacement systems and/or parts. We are CLOSED for all Government Holidays!